If the word cabin conjures images of old-timey shacks on the rugged frontier, you're in for a treat. Once a symbol of humble, backcountry origins, the cabin lifestyle is now an aspirational goal for those looking to downsize and reconnect with the great outdoors. Whether it's the classic log home or something impossibly modern that helps you discover your dream retreat, here are 18 small cabins you can buy or DIY for $300 and up. Ditching the city for cabin living doesn't mean saying farewell to household conveniences like a state of the art kitchen, say the folks at Escape, a company that builds award-winning park model homes and travel trailers. Our favorite example is the Gateway. Its basic package includes a drool-worthy kitchen decked out with maple cabinetry and full-size Energy Star appliances. Also attractive are panoramic windows that make you feel at one with nature. Bonus: every Escape retreat is built to withstand extreme weather, from heat waves to blizzards. Prices start at $88,700. To try one on for size, book a stay at Canoe Bay in Chetek, Wisconsin. Looking to live like Henry Thoreau? You can DIY this small cabin by Joalex Henry. The expert do-it-yourselfer who built this haven single-handedly shares what you need to know about cabin construction, from picking the best logs to preventing wood rot with a coat of cooking oil. His little abode cost less than $2,500 to make using mostly reclaimed materials. If you dream of owning a small cabin in Maryland, you can purchase one by Hobbitat Spaces. The building company creates modern dwellings wrapped in reclaimed wood that specifically meets the state's building codes. Structures built for year-round use start at $85,000. The Wedge by WheelHaus is a 400-square-foot modular cabin built on a trailer chassis. Like most tiny homes on wheels, it qualifies as a recreational vehicle, so you can place it anywhere RV's and mobile homes are allowed. Just a few of the cabin's striking features include exterior siding made of reclaimed snow fencing, large trapezoidal windows, and impressively tall ceilings. We think the bathroom is particularly appealing with a Euro-style glass shower and floor-to-ceiling tile. And just in case you're wondering, the Wedge can sleep up to three people, and, yes, it's wired for the internet. Base price is $89,500. You can vacation in this one at Fireside Resort, in Jackson Hole, Wyoming. MUJI is a Japanese company known for manufacturing simple and affordable products from furniture to clothing. But for its fans, MUJI isn't just a brand; it's a way of life. Perhaps that's why the global retailer is getting into the small cabin business. Its first model called, MUJI Hut, is a pinch less than 100 square feet and features floor-to-ceiling wood paneling. It's available in Japan for around $28,000 USD. There's no doubt that builder Jay Shafer ignited the tiny home movement when he published "The Small House Book" nearly a decade ago. So if you're looking to build a fun-size cabin and have no idea how to get started, we can't think of a better resource for dipping your toes in than Shafer's website, Four Lights Houses. There you'll find free study guides, downloadable building plans, and a calendar of upcoming workshops for build-it-yourself novices. Maybe you have a lakefront cabin, but you can't enjoy it with friends because there's not enough room for them to stay over. The folks at Summerwood Products, a company that designs and sells small structures, say you should consider adding a prefab "bunkie," or prefab guest house with a bathroom. Depending on style and size, the micro-cabin sleeps two or more people. Find out what you need to know about adding a tiny guesthouse on your property, including the ins and outs of building permits. DIY bunkie kits start at $5,000. If you're not an experienced builder, whipping up a log cabin from scratch can sound pretty intimidating. 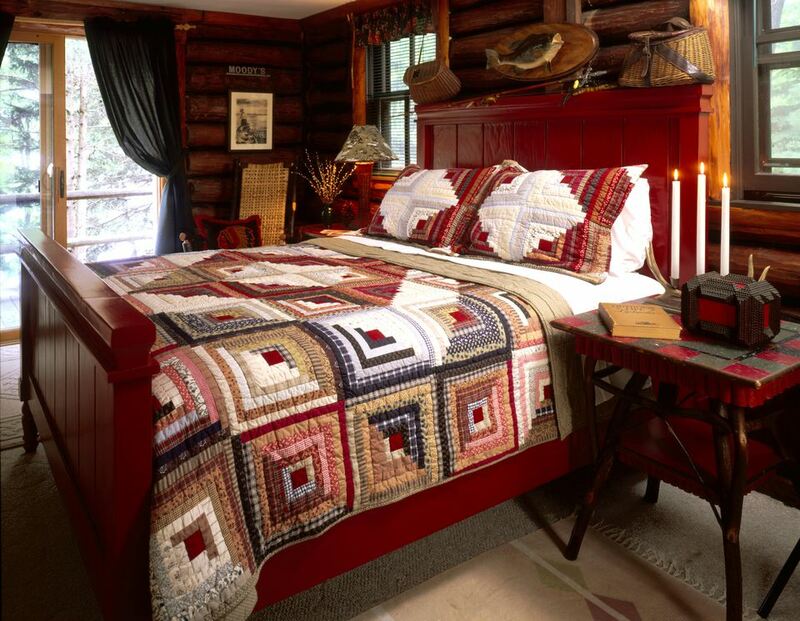 Luckily, a DIY kit like The Serenity Log Cabin package by Conestoga can make the do-it-yourself process a lot easier. The 280-square-foot getaway packs a private bedroom, living area, and bathroom. Adding a kitchenette is optional. Starting cost is $21,900. The Basecamp by Backcountry Tiny Homes is a small cabin on wheels brimming with floor-to-ceiling storage solutions for all of your outdoor gear, from snow skis and sleeping bags to climbing ropes and hiking backpacks. We particularly love the rooftop deck for enjoying the scenery. Turnkey price is $59,950. You can create a teensy cabin compound with several DIY cottage kits from Jamaica Cottage Shop. The couple who owns this hillside getaway installed three little cabins with different amenities. The small house with the front porch is the "main" hideaway for sleeping and indoor relaxing. The one across houses a mini kitchen. The third minuscule structure is a bathroom with a composting toilet. DIY cabin kits start at around $5,900. Liberty Cabins based in Northern California manufactures cabin-inspired certified RV's that are less than 300 square feet. What sets these roaming abodes apart from the others? A few things: first, is the rustic siding. They only use Western red cedar, which is naturally weather-resistant. Second, is the reasonable price tag. A fully-loaded tiny cabin tricked out with a working kitchen, 3/4 bathroom, and tons of storage space costs $50,000. Meet the rustic cabin that made New York Magazine's Luxury Gift Guide (yep, the same list that once featured Michael Jordan’s estate). The Nostalgia Cabin by Tiny Portable Cabins comes with all the basics found in many studio apartments plus a porch for the modest price of $40,000. Upgrades like built-in furniture or an air conditioner are extra. When this photo of The Woodland Cabin by David Vandervort Architects first appeared online, it immediately became a Pinterest favorite. So the firm made the building plans for the 400-square-foot retreat available for $995. So that you know, the Craftsman-inspired interior is just as charming as the cabin's exterior. This state-of-the-art prefab is a 550-square-foot, timber frame cabin by FabCab. Aptly called TimberCab 550, it ships as a kit of pre-cut building materials designed for on-site assembly by a licensed contractor. The company says its unique approach to prefab construction slashes weeks off building time while reducing material waste. Prices start at $192,500. If you're looking to transform a shipping container into a country cabin, you must peruse Tin Can Cabin. Steve, the self-educated homebuilder who created the blog, shares four years of lessons learned while building his stylish retreat that includes beautiful wood flooring and a beadboard kitchen. Expect to find brutally honest posts including one explaining why you shouldn't build a ​shipping container home. How much did his DIY cabin cost? Around $36,000. Budget-minded DIYers will appreciate the selection of prefab metal buildings from Arched Cabins. How resilient are these galvanized steel structures? All can withstand wind speeds of up to 150 mph and up to 30 pounds per square foot of snow. Each DIY kit comes with a construction manual and phone number for the company's building support team. While all orders also come with everything needed to complete the exterior, foundations and finished interiors aren't included. Prices for a 20-inch wide, family-size cabin start at $5,200. Don't call this teensy cabin that features a cedar wood frame and clear polycarbonate roofing a she-shed. Derek Diedricksen, the tiny homebuilder behind this one-of-a-kind structure, says it's a backwoods reading room. Relax Shacks shares how the little hut cost less than $300 to make using mostly recycled and found materials. The Cheryl Cabin is an adorable 100-square-foot haven by Pin Up Houses. The company claims that virtually any able-bodied person with basic DIY skills can build it in three weeks for around $3,000.